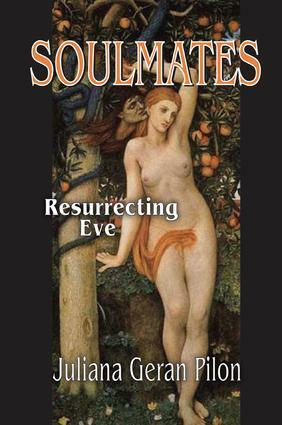 In Soulmates: Resurrecting Eve, Juliana Geran Pilon argues for a return to an egalitarian view of men and women, found in the original Genesis narrative, as reflected through Judaism, Christianity, and Islam. In each of these Abrahamic traditions, it was understood that man and woman were created to be soulmates in God's image-equal despite their different functions within society. Pilon writes that this original message has gradually been distorted, with disastrous effect. Any hope for an ennobling human community begins by resurrecting Eve as an equal partner to Adam. The work examines the Biblical creation narrative, comparing it to Greek and other ancient mythologies. Pilon explains how the disturbing association of woman with sin and death led to Eve's demise as Adam's equal. The final section of the work deals with the Goddess myth, love and marriage in early religious narratives, and modern man's search for his soul no less than for a soulmate. The book, at its core, is a meditation on the relationship between men and women but also among human beings. The resurrection of Eve is indispensable to attaining a true appreciation of love and faith. Pilon uses religious texts, expert commentary, and various works of fiction, poetry, and psychology to make her argument come alive. The work is strengthened by the writing style, alternately poetic and humorous, and a clear and illuminating progression of ideas. Its emphasis on reconciliation and understanding, and its post-feminist outlook will find a receptive audience. To Know or Not to Know—Is that the Question?